Click here to learn more about the project and view the draft EIR. 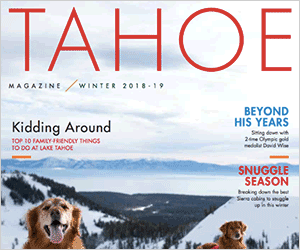 In a recent “My Turn” piece in the Sierra Sun, the Friends of Squaw Valley wrote about the two dominant concerns (traffic and water) expressed in the more than 300 response letters to the dEIR on the proposed Village at Squaw Valley. In this opinion column, we’d like to address three others: construction hours and duration of the construction period; noise; and visual impacts. A major concern to many residents of Squaw Valley is that Placer County exempts construction noise from noise standards as long as construction occurs during daytime hours (i.e. 0600-2000 Monday thru Friday, and 0800-2000 Saturday-Sunday). To make matters worse, under certain conditions, construction is permitted overnight as well, with the resulting noise allowed to exceed nighttime noise standards. Residents felt that construction should be limited to hours more appropriate for a resort environment (starting later than 6 a.m. and ending earlier than 8 p.m.), that it should not be allowed at all on weekends nor holidays when traffic is heaviest nor on snow days when plows are on the roads, and that construction time(s) should be carefully monitored. People want Squaw Valley to be treated like a vacation and resort community and not like strip malls that are more common in the western end of Placer County. The Specific Plan envisions a possible 25-year buildout with construction driven by market conditions; thus, a specific construction schedule has not been developed. The result is that there may be some periods of heavy construction and others where construction is light or non-existent, but it remains that the residents still must endure a possible 25-year buildout. Innumerable responses expressed concern with the adverse impact of prolonged construction on property values, as well with the constant noise, dust, and inevitable road deterioration. Others mentioned how offensive construction traffic would be to those using the bike path along the meadow, especially since that path is such an asset and attraction to Squaw Valley and Placer County. In our last article, we noted that traffic volumes were underestimated in the dEIR, and it follows therefore that traffic noise levels were similarly underestimated. The dEIR dismisses the importance of this noise impact because of the “relative infrequency” of the peak traffic times, but numerous writers challenged that assertion citing high existing noise levels during much of the summer and winter that negatively impact their quality of life. And, as the dEIR makes plainly clear, the noise level along Squaw Valley Road already exceeds Placer County standards, and this project would make it worse. Other contested the assertion that interior noise levels in the summer would be acceptable because many residences in the valley have double-paned windows and better insulation, but most keep their windows open in summer in order to enjoy the wonderful climate, thus negating the inherent benefits of better windows and insulation. Many responders took umbrage at the misrepresentations in the dEIR section on Visual Impacts. The dEIR alleged that the visual impact of the project, once built out, would be less than significant overall since only long-term residents would be significantly impacted, and they are a minority compared to the numerous first time visitors who wouldn’t know the difference. Numerous pass-holders, taxpaying locals and regular vacationers feel undervalued and insulted by this assumption. The dEIR also alleged that the natural terrain dominates the view and that the structures in the near foreground are not visually important, but many strongly disagree and also expressed concern that landscaping and design guidelines would not be able to mitigate the impacts of extensive nighttime lighting. Even residents of Alpine Meadows and backcountry hikers or campers already complain about excessive nightglow from the existing much smaller IntraWest Village. Still others expressed concern with the 108-foot height of the “front and center” Mountain Adventure Center, the size and scale of which would dominate the view entering the proposed village. In light of all the impacts and lack of viable mitigations, once again, most felt that the best course of action was to downsize the project. The Alternative chapter suggested a 50 percent reduction be analyzed, but considering the cumulative effect of all the adverse impacts, the FoSV is not suggesting any specific percentage, but rather a downsizing that reduces these impacts to a “less than significant” range. Dr. Jon Shanser is an Olympic Valley resident and a founding member of The Friends of Squaw Valley. He may be reached for comment at jonshanser@gmail.com.